Guest Post: Giving, Gratefulness and Low-Rider Love! 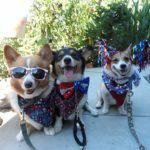 Today’s message comes to us from Geri Sterling of California, Mom to three Corgis, three cats and three kids. 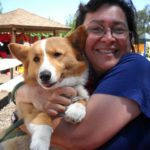 Connie is a tireless fundraiser for the Escondido Humane Society, and a passionate advocate for the animals. Her work has previously appeared here on the blog, and it’s a joy to have her back with us! Ever since dogs were domesticated in Europe many thousands of years ago, they have become entwined in our lives. Cats followed, once we became agricultural and began storing grains. Dogs protect us, help us herd livestock, are valuable partners in the military and law enforcement, assist us as service animals, and so much more. Cats and dogs keep our homes free from pests and give us unconditional love and companionship. All they ask in return is food, shelter, kind words and loving hands. Many dogs and cats are fortunate and have safe, loving homes. But many do not. Some are abandoned. Some are left behind when their owner dies. Some are born feral. Some are lost and can’t find their way home. Thank goodness we have places like the Escondido Humane Society to help the unfortunate ones.The Society was founded in Escondido, California in 1915. They care for more than 5,000 animals a year. As an open-door shelter, they take in any stray companion animal within their jurisdiction, regardless of age, breed, medical or behavioral needs, or attractiveness to potential adopters. Their donors, volunteers, foster homes, and staff work together to create a safe, loving haven for animals; they do not euthanize based on length of stay or lack of space. When I was a teenager, I used to volunteer at EHS as a dog walker. My daughter Rebecca has volunteered there as a cat cuddler. Two of our furry family are adoptees from Escondido Humane Society. Sally is a pretty little calico cat; she came to the shelter as a stray when Rebecca was volunteering there. 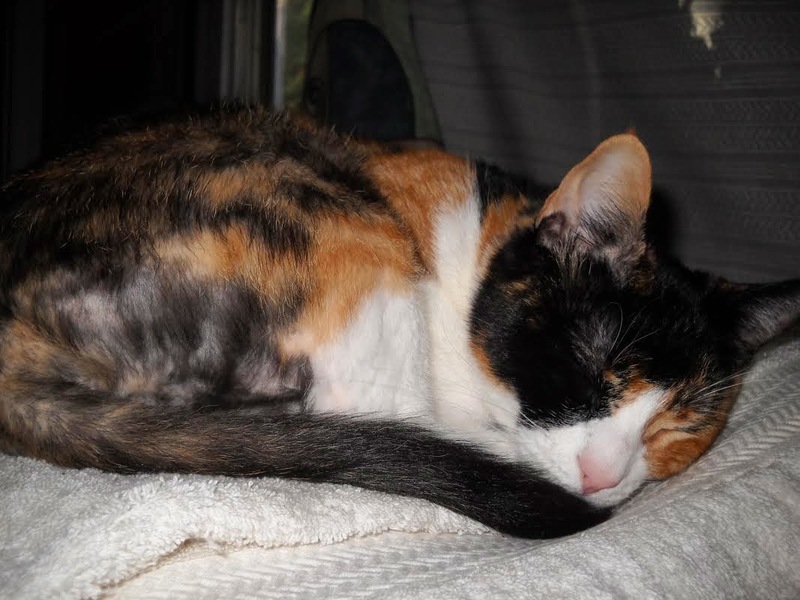 Sally was so emaciated that she had no fat or muscle in which to place her microchip. They had to insert it just under her skin, so when you pet her now, you can easily feel the chip. Oh, Sally is no longer thin. She’s a sleek, chatty, cuddly little spitfire. She loves hop up onto your lap, put her paws on your chest and lick your nose. Sally sleeps with Rebecca and seems to know that she is her rescuer. Her fellow rescued felines Basil and Pippin round out the resident cat crew. 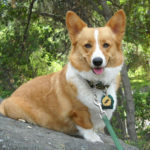 Connie is a little Corgi who also came to Escondido Humane as a stray. She was picked up wandering the streets, very thin but so friendly. We don’t know her story, just that nobody came to claim her. Attempts to find her family resulted in dead ends. She could have been hit by a car, attacked by coyotes, taken in as a bait dog. Instead she found a safe haven at EHS. They gave her health care, fed her and allowed us to become her new family. Connie has brought a lot of laughter and joy to our family and is a vital member of our pack. She does her cute dance when any of us have a tennis ball in our hand. She’s a ball fetching phenom! We would not have Sally and Connie if it was not for Escondido Humane. Sally and Connie might not even be alive today, if not for them. Our home is noisy and furry. Never a dull moment with these little rascals. Thankfully everyone gets along; in fact Connie and Copper are best buds. They sleep next to each other and could play all day as long, as someone is throwing that tennis ball. The important thing is they are safe and loved. My mother, who passed in 2010, instilled in me a deep love of animals, especially dogs and cats. We were always taking in critters who needed a home. Mom would make donations as she could to the shelter. Before she died, she asked me to continue her work, so here I am. 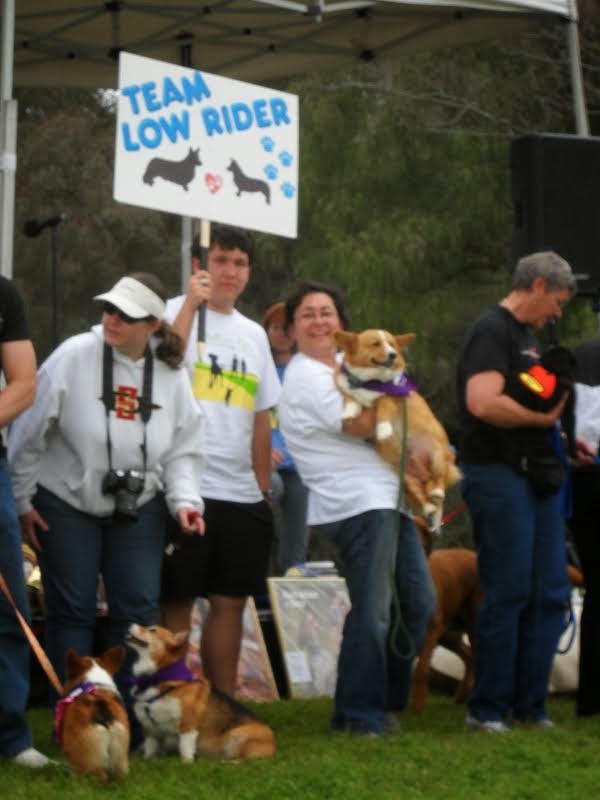 In 2009, when Mom was sick, I started Team Low Rider to raise funds for the EHS. I didn’t really know what to do and was distracted by her health problems. When she died the following year, Team Low Rider kicked into gear. 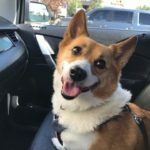 We are a fundrasing team made up of mostly Pembroke Welsh Corgis, with a few Cardigans and even some honorary Corgis (Beagles, Shelties and Golden Retrievers!). Since 2009, Team Low Rider has had a strong showing, finally taking first place in 2011 and second place 2010, 2012 and 2013. 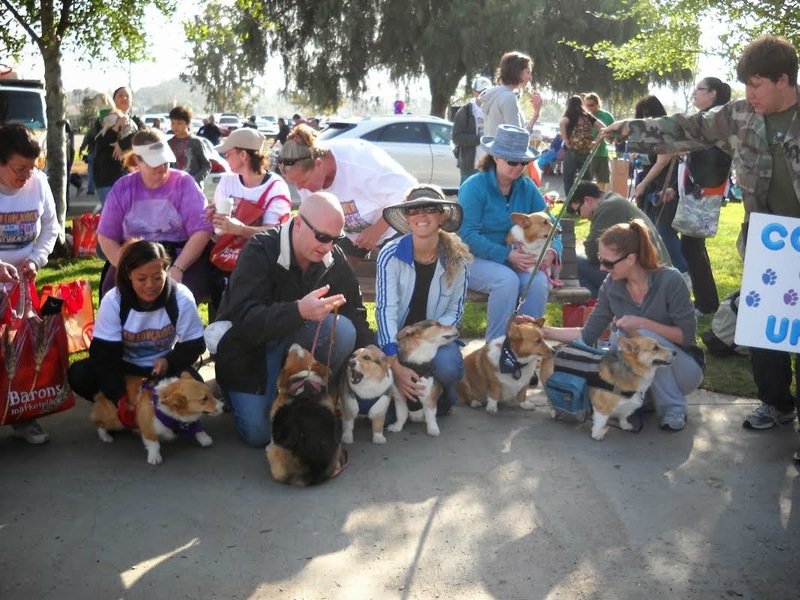 Although the cat ladies team have managed to pull off the win every year since we took them by surprise in 2011, Corgis have proven themselves as excellent fundraisers, bringing in $14,105 in 2010, $19,000 in 2011, $11,041 in 2012 and $3770 in 2013. 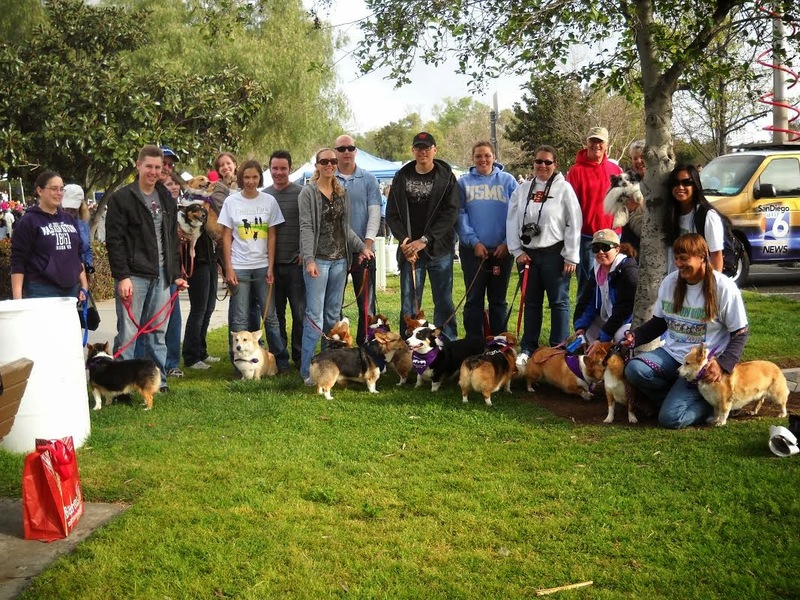 We are quite a sight with 25-30 fabulous Corgis (and friends) strutting their stuff. Although we fall a strong second place every year, we do try. Oh yes we do! Every penny helps and we are just happy to do what we can. 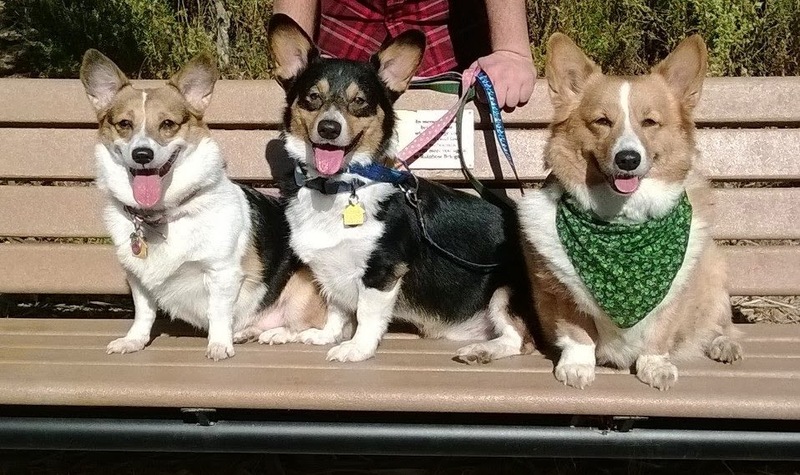 In gratitude for all of the loving dogs and cats you have, or have had, in your life, please consider making a small (or moderate, or large) donation to Escondido Humane on behalf of Team Low Rider. The walk itself is on Sunday March 30th. In the meantime, I will be working hard to do my fundraising thing. The link to my donor page is HERE. To give, click on the “Click here to donate” paw print. I can turn in cash and check donations on the day of the event. You may reach me at geristerling@yahoo.com. 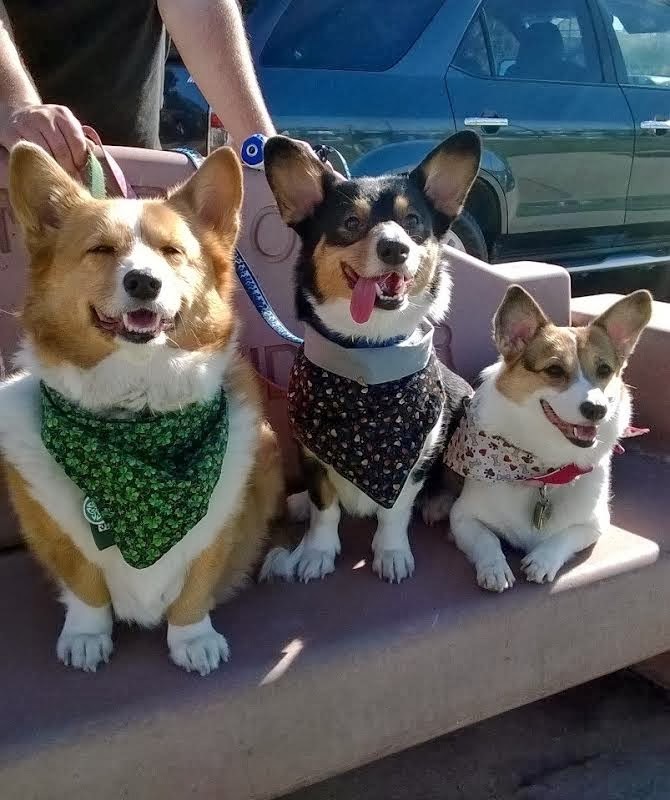 Corgi Love: Geri, Sidney and Connie! 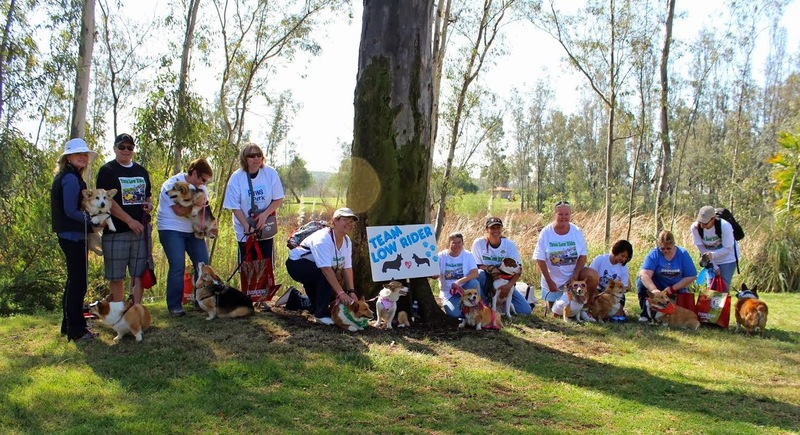 Sidney & Team Low Rider Raise $13,000! Happy 4th of July, U.S.A.!